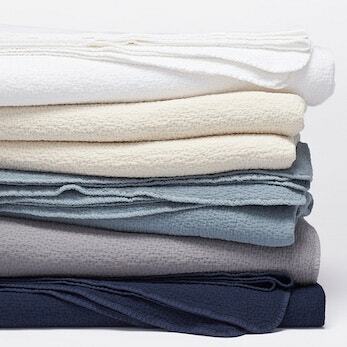 Our lightest layer adds whimsical texture in any weather, skipping the bulk of thicker blankets for an airy drape in soft, garment-washed color. 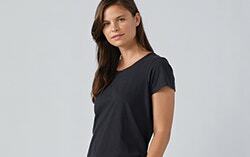 Matelassé texture looks and feels sublimely simple, stitched into a versatile bed covering that’s light, cool, and lovely on its own, or a fine fit for layering. 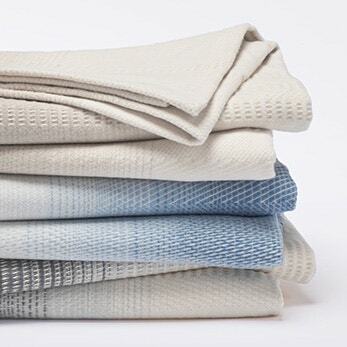 With its dynamic geometry, our Pismo Blanket is a contemporary take on matelassé. 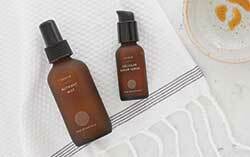 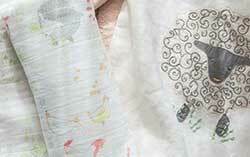 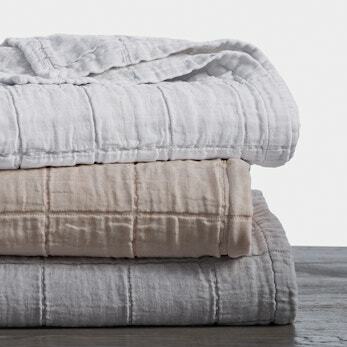 The fabric is stone-washed for softness and a more delicate texture. 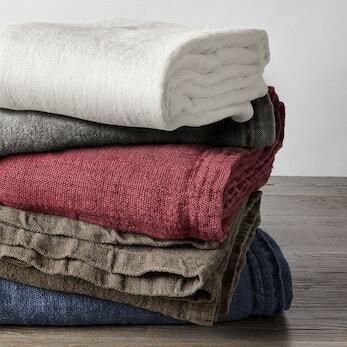 At the top of its class for year-round appeal, the Cozy Cotton Blanket pairs the plush softness of chenille with the lightweight comfort of cotton. 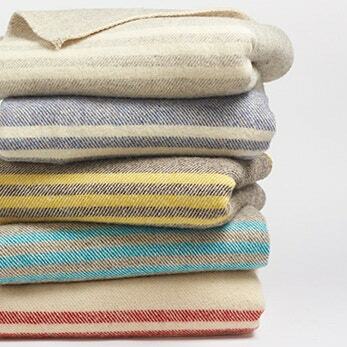 Inspired by a vintage Peruvian blanket, garment-washed linen is yarn-dyed with rich hues borrowed from the many moods of the sky. 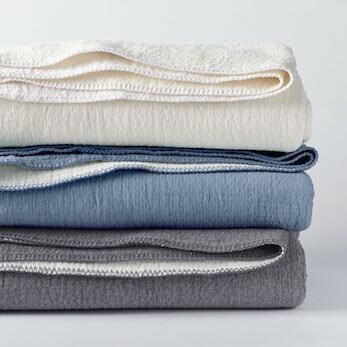 An ideal temperature-regulating layer for all seasons, the Larkspur Blanket showcases the timeless texture and thickness of linen with a heavier, comforting hand. 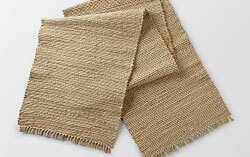 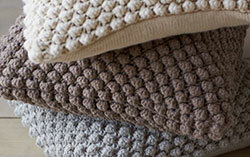 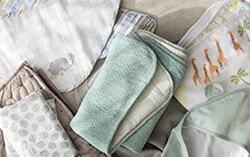 Matelasse-stitched squares raise a gorgeous grid-work of texture on soft, stonewashed organic cotton and linen. 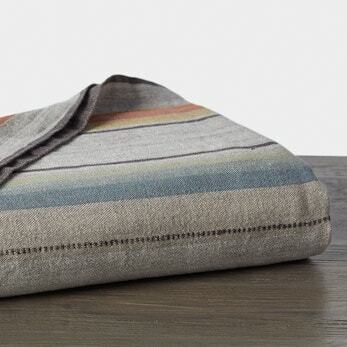 Strata makes a cool, coastal statement, pairing bold ombre stripes with detailed texture and a plush nap, adding sublime softness to the stylish design. 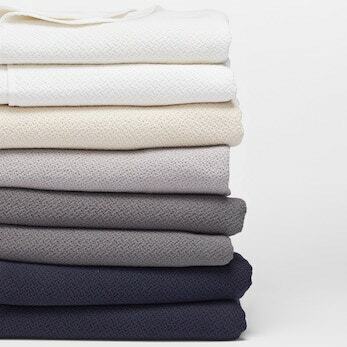 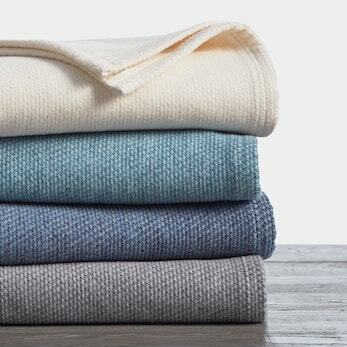 Cool coastal colors blend the superior softness of organic cotton with the cozy warmth that only comes with natural wool. 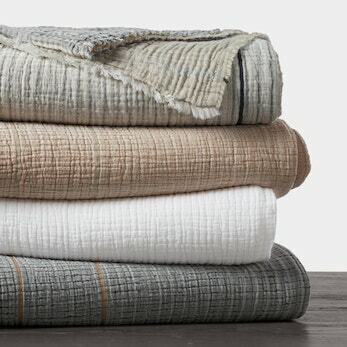 A chunky jacquard weave gives this organic cotton favorite its touchable texture, lasting durability, and weighty warmth. 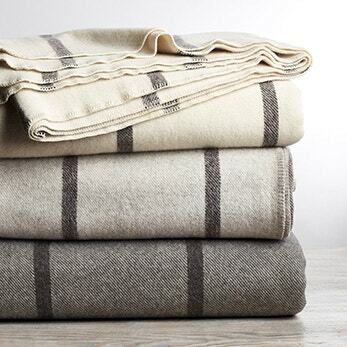 Sheep pastured in the cool mists of Canada produce the dense, cozy wool that make this heirloom-quality blanket the warmest and weightiest in our collection. 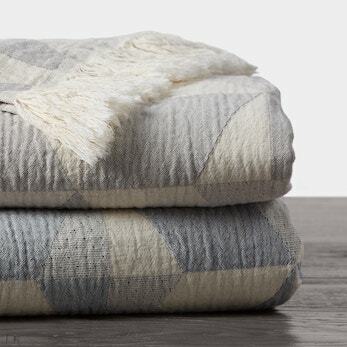 Miramar’s stonewashed waffle weave makes it a winter-weather wonder, creating a soft, spongy blanket that’s heavyweight and warm. 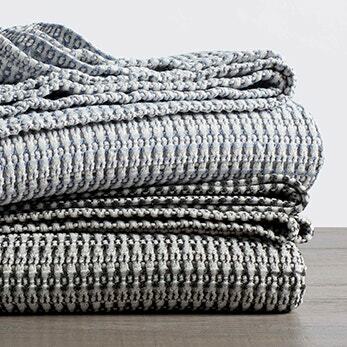 Nature’s great insulator, 100% American-grown wool gives the Tahoe Blanket its naturally soft touch and thick, warming comfort.